A Turkish court has sentenced writer Ömer Faruk Gergerlioğlu to two-and-a half-years in prison for anti-war comments posted on social media on World Peace Day in 2016. 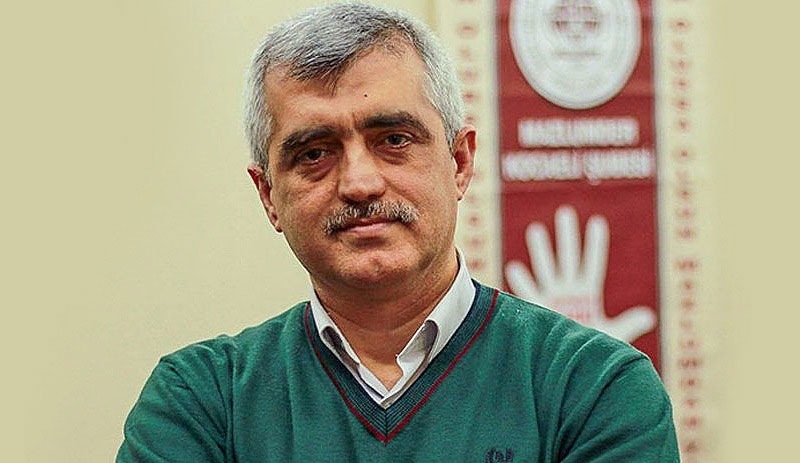 Gergerlioğlu, whose comments included the lines, “we'd rather see our children alive, side-by-side, than side-by-side in coffins” was a prominent human rights activist and former head of human rights association Mazlum-Der. He was given jail term on charges of “conducting propaganda for a terrorist organisation”. Evaluating the verdict in the daily Artı Gerçek, Gergerlioğlu commented that the sentence was the maximum allowed and that the prosecution had not requested such a stiff sentence. He said he would appeal the decision. “I've been in favour of human rights all my life. I reject conflicts. I’m on the side of talking and reconciliation, I defend everyone's right. “I do not accept this very unjust decision, made at a time when the law is abolished, and leave this matter to the public conscience. I will continue to struggle so that all people in this land can live freely and in accordance with human rights. “I will not lose hope that this period, when unbelievable cruelties and unscrupulous acts are made in the name of law, will pass. I will continue my efforts to re-establish the rule of law." Yazar Ömer Faruk Gergerlioğlu'na Dünya Barış Günü'nde, 'Çocuklarımızın tabutu yan yana duracağına, dirileri yan yana dursun' dediği için 2.5 yıl hapis cezası verildi.